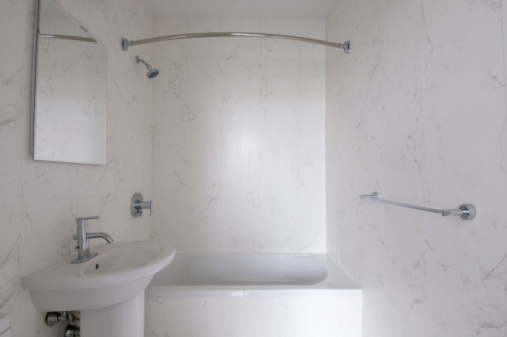 Often, the entire bathroom is designed around the look and feel of the shower or the bathtub. 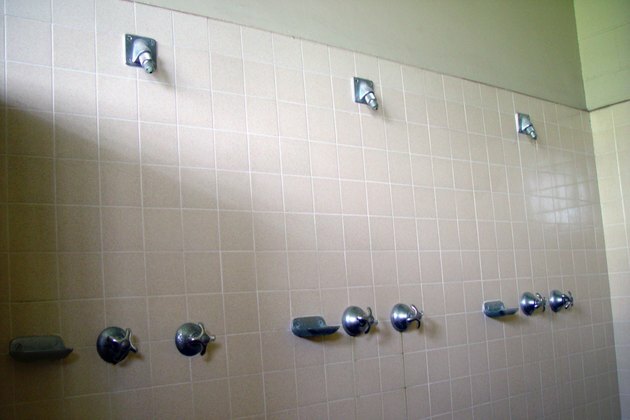 As the shower is often used at least once a day, it is very important that it is kept clean and free of mildew, mold and soap scum so that its lifespan is prolonged. There are many commercial shower cleaners that you can buy from any grocery store, but sometimes they are too harsh, too expensive or they simply don't work. Fortunately, it's easy to make your own shower cleaner using bleach. 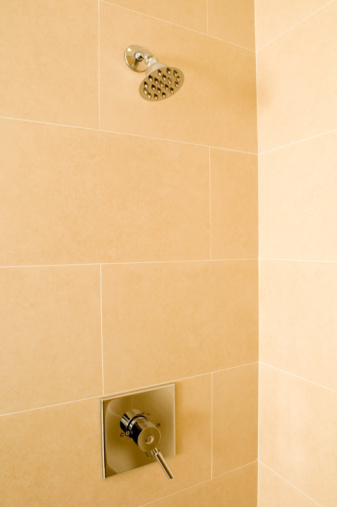 You can make a very simple shower cleaner using only normal strength bleach and water. Mix three parts bleach to ten parts water. Put the solution in a spray bottle or simply apply it using a rag. 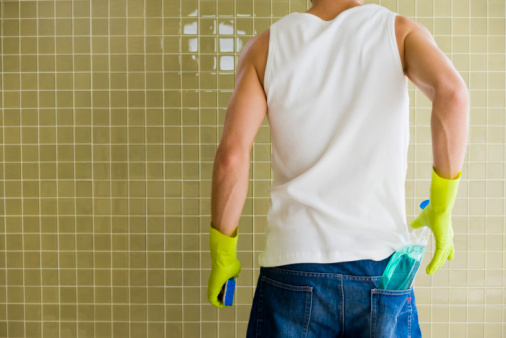 Allow the solution to sit for about two minutes, then scrub down the shower with a rag or sponge. Rinse off the solution thoroughly to prevent the floor from becoming slippery and to ensure the bleach doesn't stay on so long it actually causes damage to your shower. This solution can be used for periodic cleaning or as a daily cleaner to prevent the buildup of mold and soap scum.